New Zealand’s sunniest city, Nelson gets the most hours of sun at an average of 2500 hours per year. In turn, this brings a lot of farm jobs, especially in horticulture. This wouldn’t be a bad place to WWOOF or build up on the farming hours to extend your working holiday visa. 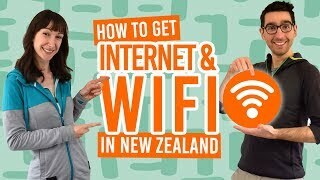 Likewise, the cost of living is relatively cheap so it could be an option for living and working as part of your working holiday in New Zealand. Plus, it is easy to get around the area by bike. If you have gone astray of Nelson and ended up in Nelson Lakes, perhaps this guide would be better use to you: Nelson Lakes National Park – Guide for Backpackers. See the real One Ring! Get an amazing view from the very centre of New Zealand. Play rugby in the New Zealand birthplace of the iconic sport. Go on the Nelson Craft Beer Trail. See sculptures and crazy clothing art displays. Branch out from the city to see stunning beaches! The city’s first claim to fame is that NZ’s most loved sport was first played here: rugby! The first match took place on 14-March-1870 between Nelson Football Club and Nelson College. New Zealander, Charles Monro, went to university in England. He brought the sport back to Nelson and introduced the rules to Nelson Football Club. At the first match, where Nelson Football Club won 2-0, the spectators didn’t realised the significance of what they had just witnessed, as rugby became popular much later. In conclusion, if you are feeling nostalgic, play some rugby in Nelson! 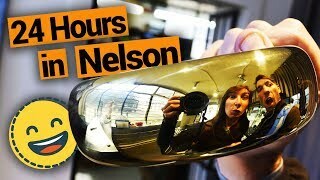 Another claim to fame is that Nelson is where all the One Rings were forged! If you really want to get yourself the real One Ring from the The Lord of the Rings, you will have to go to Jens Hansen on Trafalger Square. 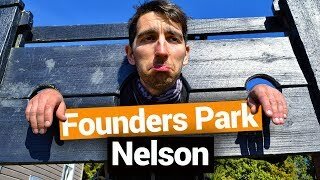 Finally, Nelson is the centre of New Zealand! Geographically, that is. The official centre of NZ passes through the Botanical Hill, which, if climbed, gives great views of the city, out to sea, and over to Abel Tasman National Park. It’s one of the free things to do in Nelson! Like beer? So does Nelson. In fact, they love it so much they have a beer church! Ok, so it is a church converted into The Free House. It has an ever changing selection of beers and real ales on tap. Over the years they have served more than 600 types of beer from around 60 independent New Zealand breweries. After you have rejoiced at the beer church, you can take Nelson’s Craft Beer Trail, a half or full day brewery crawl tasting the region’s locally owned or family brewed beers. All you need to do is grab a map at your hostel, hop on a bike, and go! To add some food into the mix, try Harrys restaurant and bar for reasonably priced craft beers and a casual atmosphere. Nelson is also a wine-making region, so wineos can’t miss the 23 Nelson Wineries on the Nelson Wine Trail. Coffee fiends should try Kush for scrumptious fair trade coffee served by kind-hearted locals. In true New Zealand style, Nelson has two markets per week on Montgomery Square. Taste local produce at the Saturday morning market and Monty’s Sunday market! For more foodie experiences on a budget, check out Cheap Eats in Nelson. There are many gallery and museum options in Nelson. Something to be “wowed” by is the WOW World of Wearable Art and Classic Cars Museum. The creatively crazy fashion designs are a must-see! Plus, the museum has Australasia’s largest private collection of cars from all over the globe. Entry is NZ$24. Give yourself 1h30min for a visit. There are a number of magnificent art and sculptures found around the city, especially the arch created by Spanish sculptor Juanjo Novella. For more free art, check out Suter Art Gallery on a Saturday. Get creative yourself by learning to bone carve with a 1 day workshop. The Nelson Bone Carving Studio teaches you about this important Maori heritage. Additionally, the bone-carved necklace makes a unique gift to take home! Nelson Art Festival – 2 weeks in October. Nelson Busker Festival – early January. Nelson Winter Festival – 2 weeks in July. Take a 20km bike ride or car journey to Rabbit Island. A bridge goes over to the island of long sandy beaches, soft sand, shallow water and heaps of mountain biking trails. And, the Cable Bay Walkway gives you views of majestic coastline, Nelson city and Abel Tasman National Park. It is a 6 hour return walk, which can be shortened by simply turning back sooner. Visit the Founders Heritage Park to see the Japanese Miyazu Gardens. Miyazu is Nelson’s sister town in Japan. If you are visiting Abel Tasman National Park, which we think you should, you can take a bus that connects with the water taxis in Kaiteriteri – your gateway to the national park full of pristine beaches. 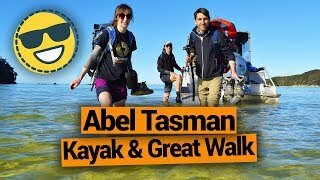 Sail to Abel Tasman’s golden beaches and swim with seals! Celebrate the beginning of a new year with Nelson’s Jazz and Blues Festival. Get an stunning sunset picture on Port Hills. In Nelson during winter? Rainbow Ski Field is only 1h30min away! For more inspiration, check out 15 Things to Do in Nelson City. 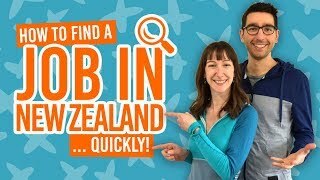 Where to stay in Nelson?